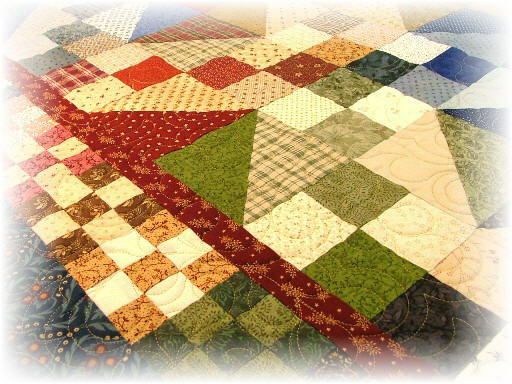 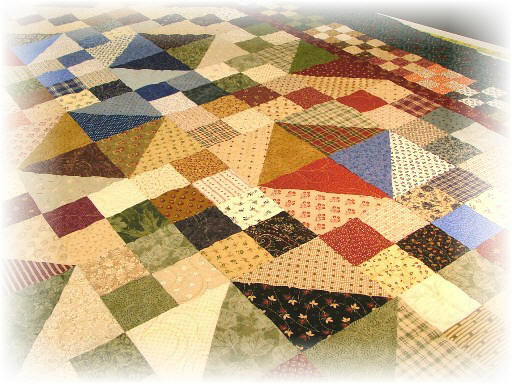 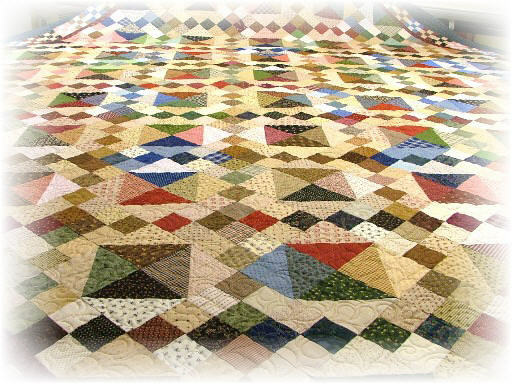 Is it a whole-cloth quilt? 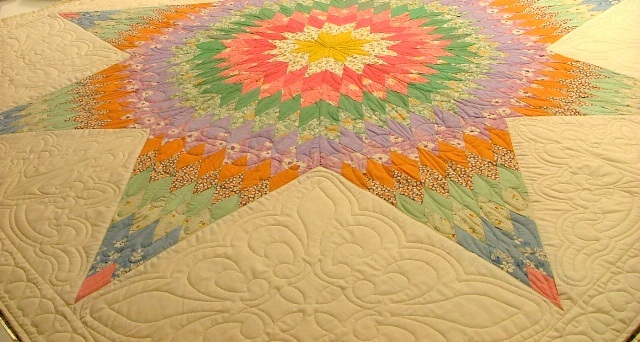 Or, just a solid backing on a colorful quilt? 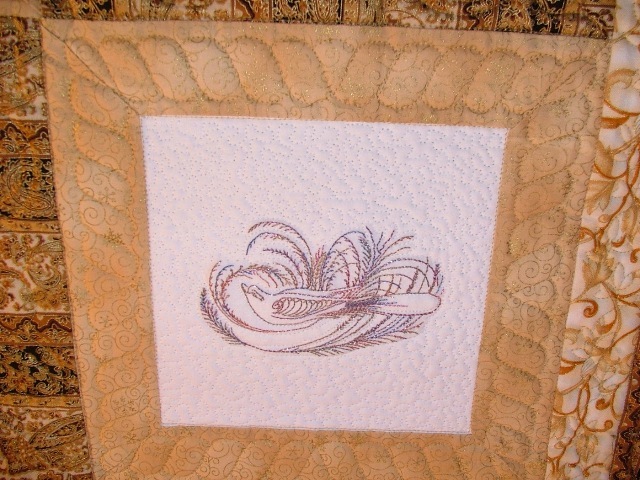 In this case, it's both! 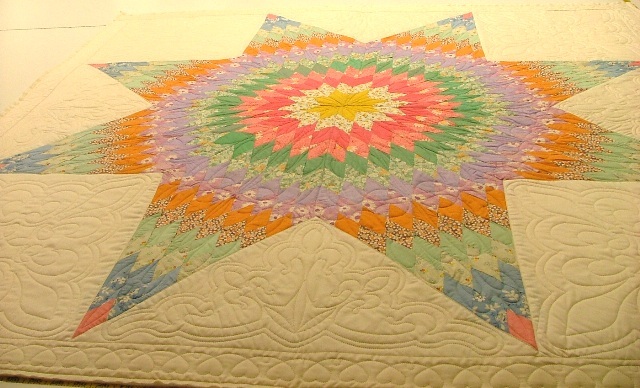 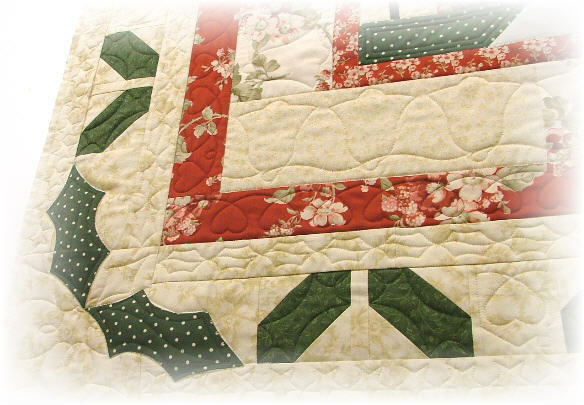 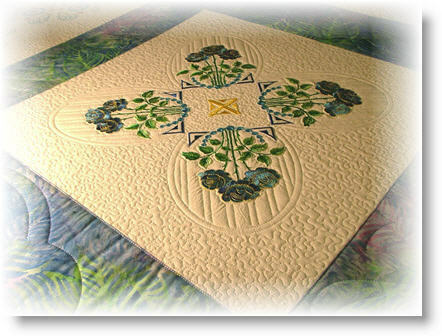 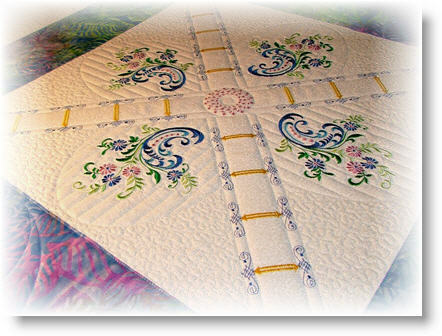 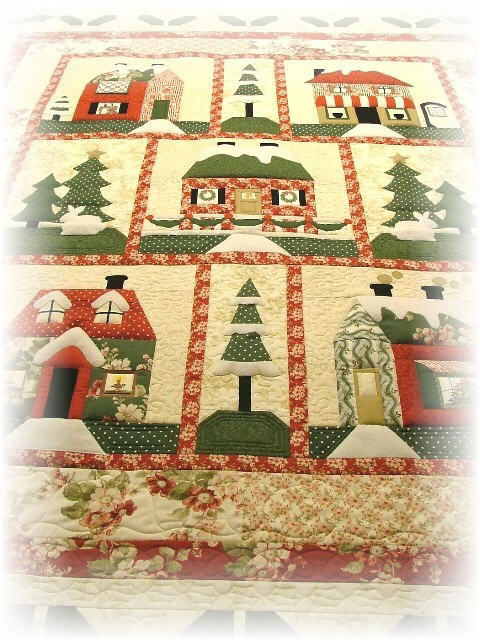 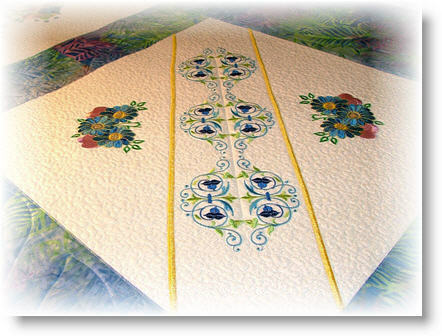 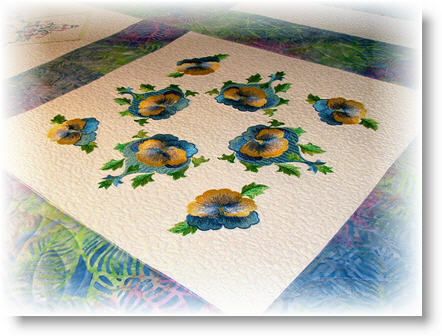 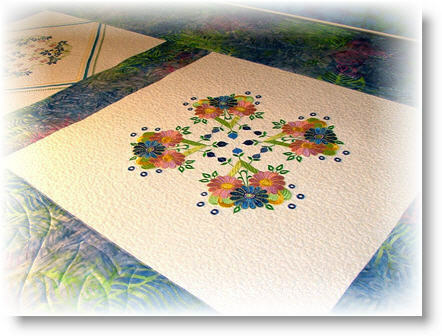 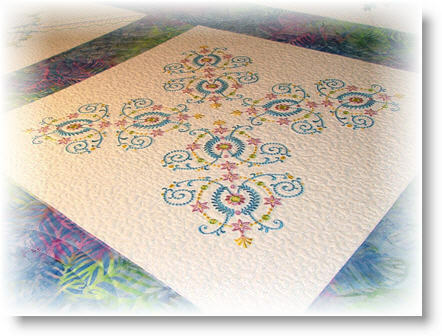 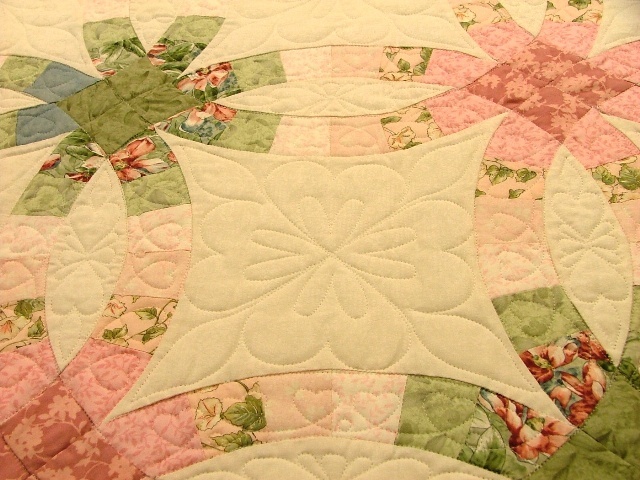 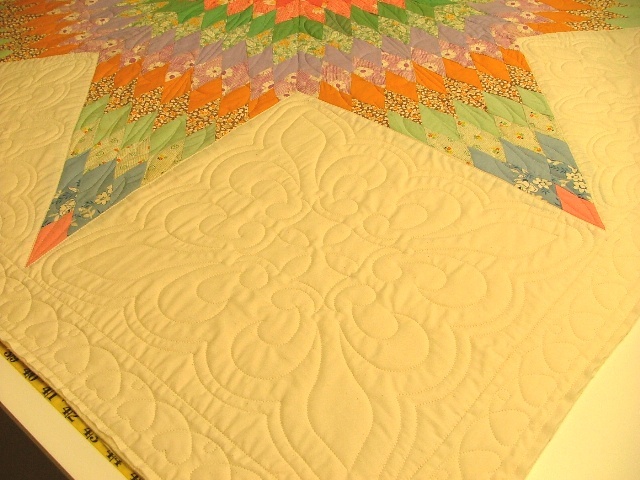 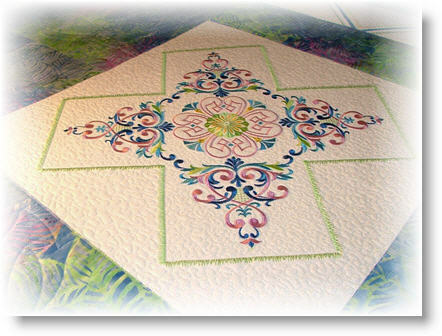 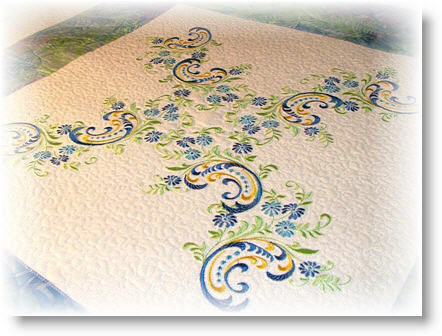 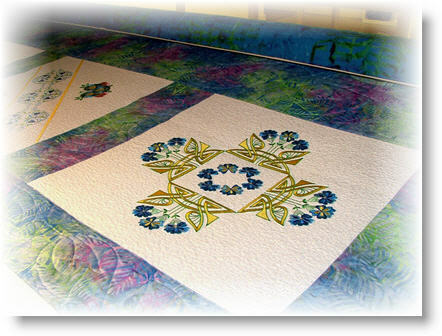 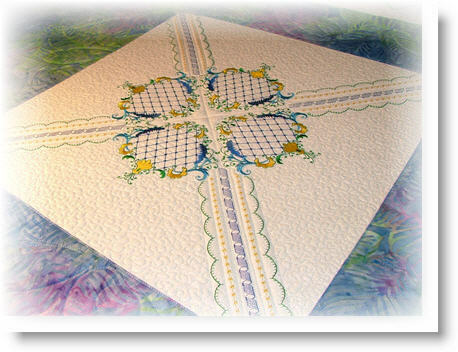 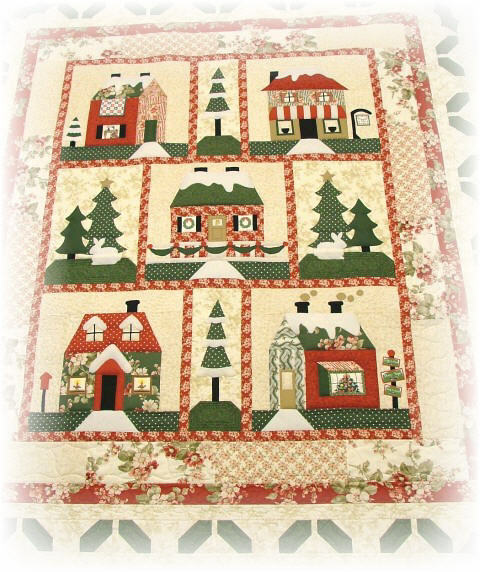 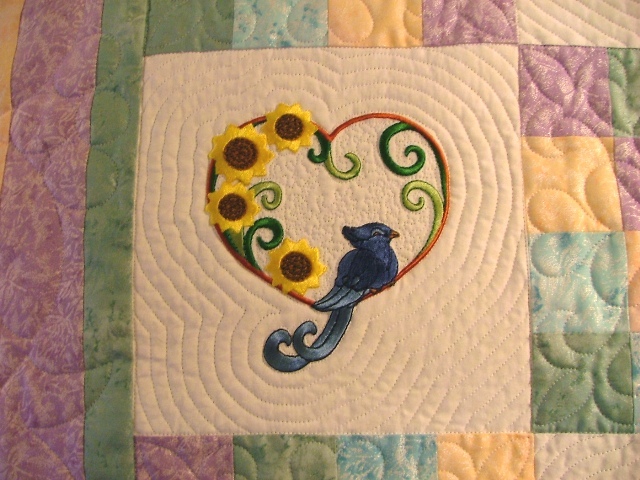 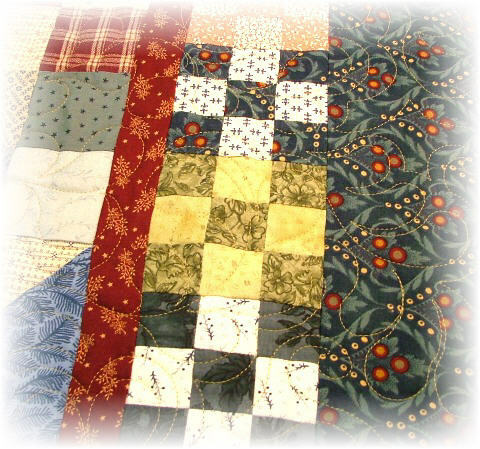 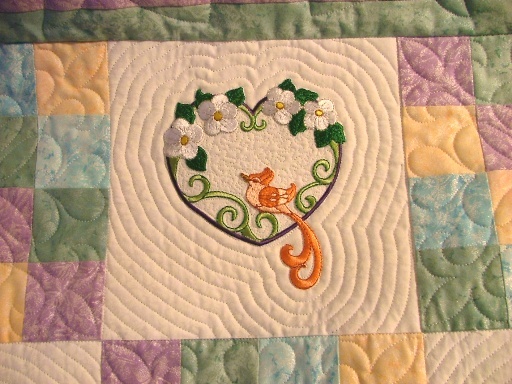 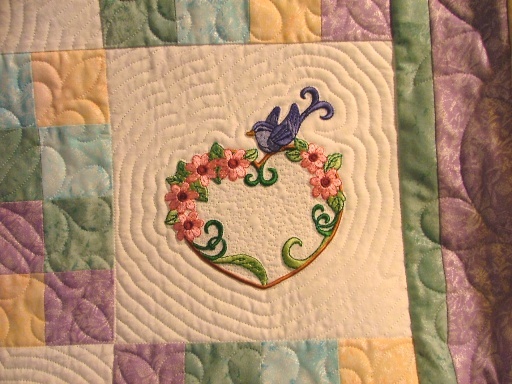 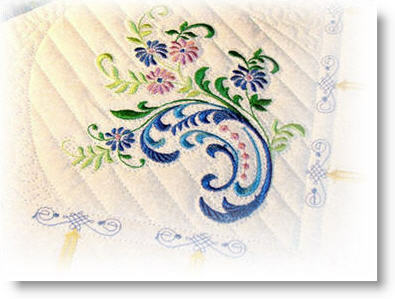 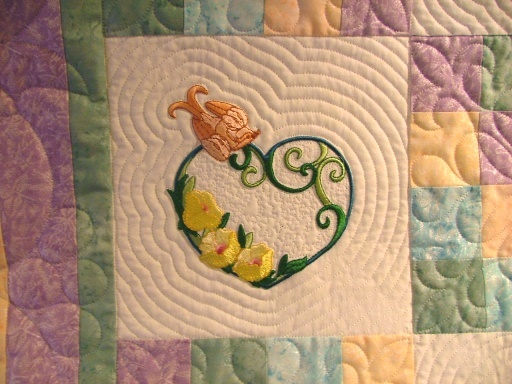 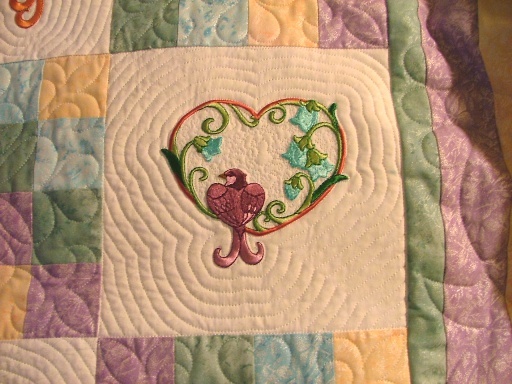 I always like the back of the quilts to be as pretty as the front, and this quilt really lends itself to that idea. 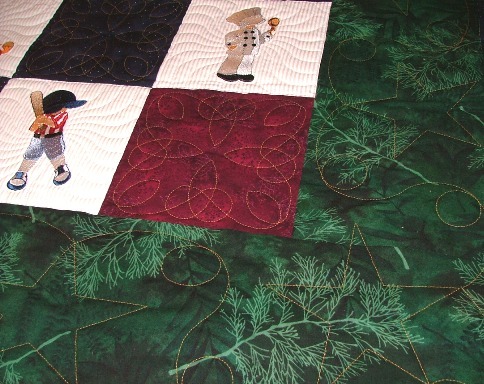 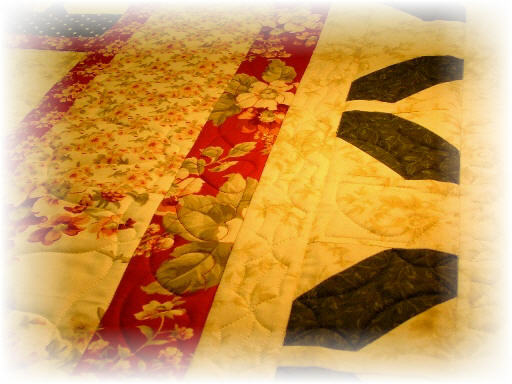 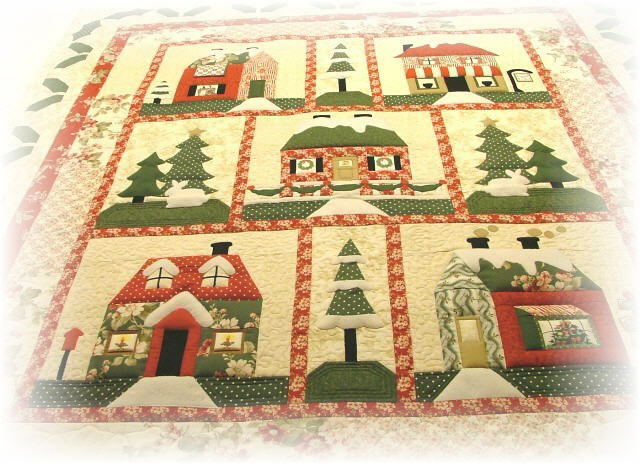 Linda made four quilts using a pattern from Pat Sloan's web site. 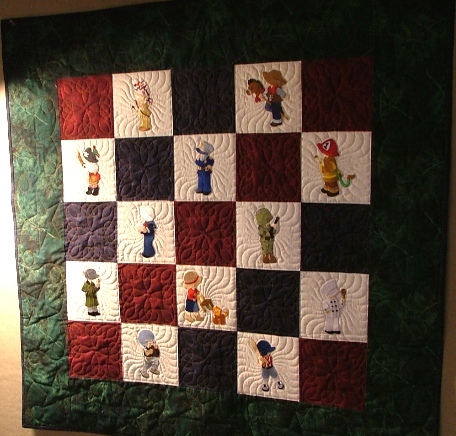 Each one of them is different, and each has a different backing fabric. 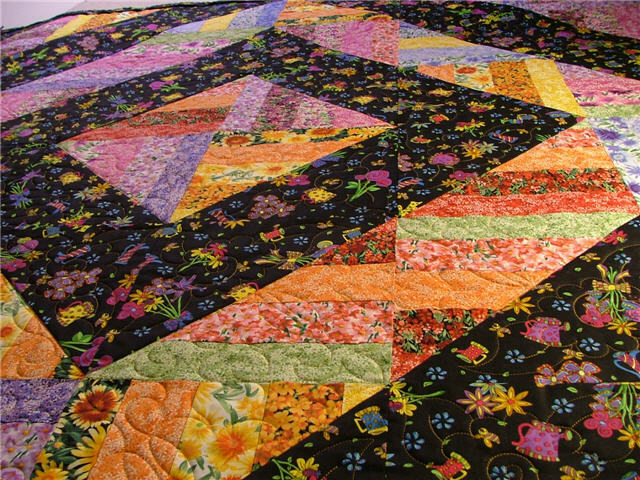 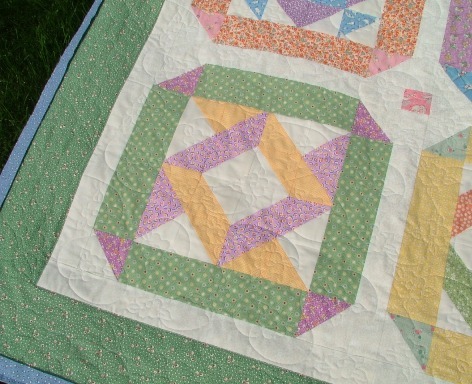 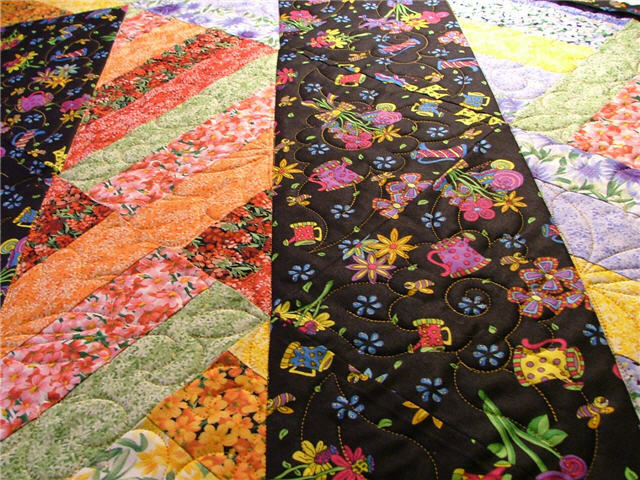 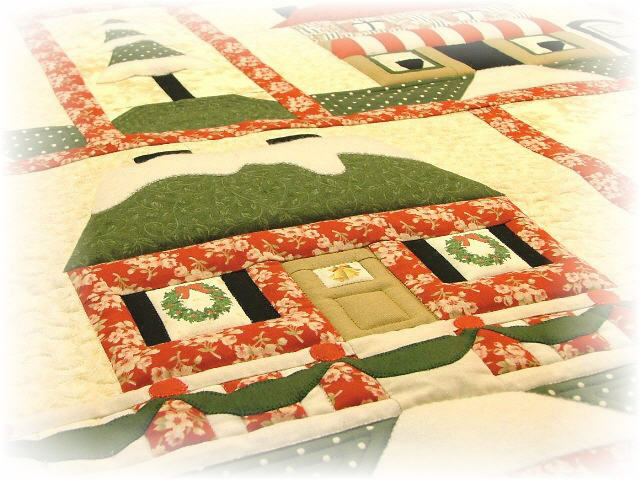 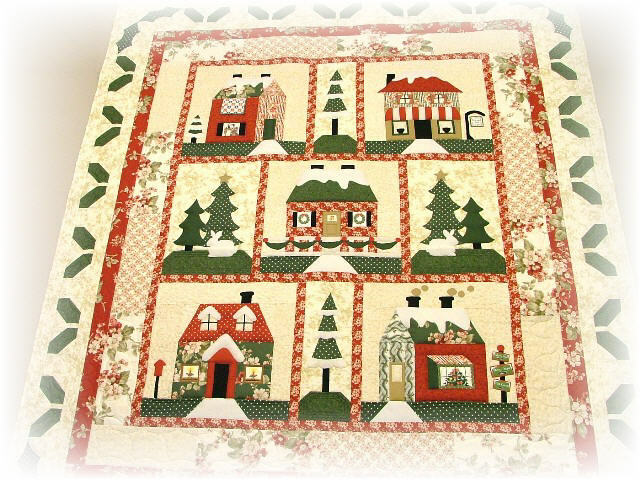 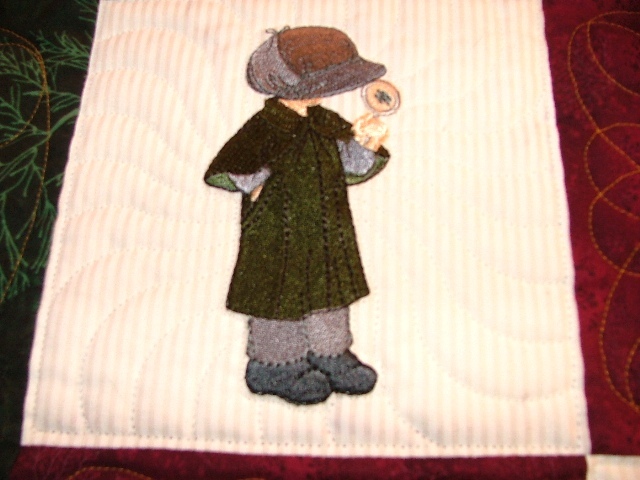 These quilts are real stash-busters! 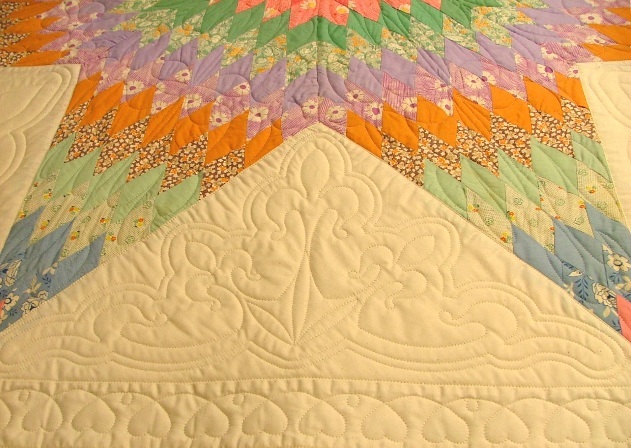 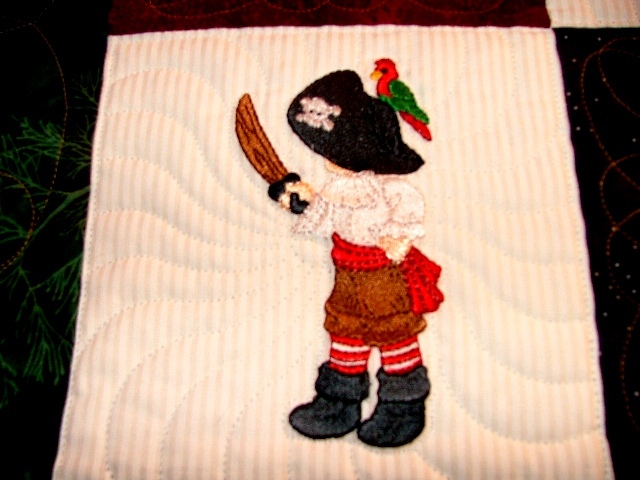 Linda's piecing is fantastic, and I really enjoy using a contrasting thread on the back of these quilts, because it enables the quilt to be just as dramatic from the back as it is from the front. 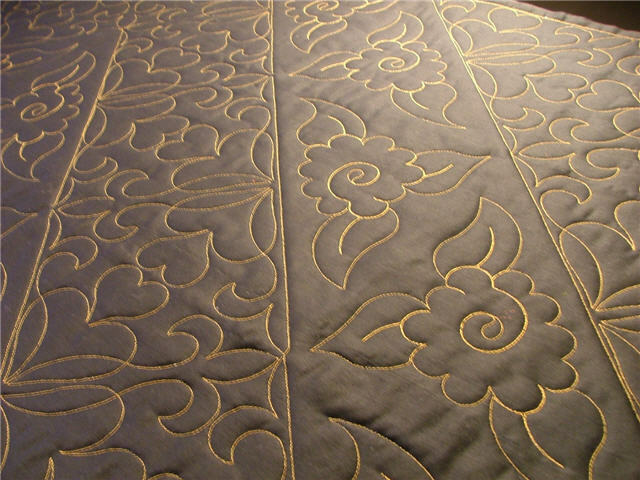 This black fabric features gold Sew Fine thread from Superior. 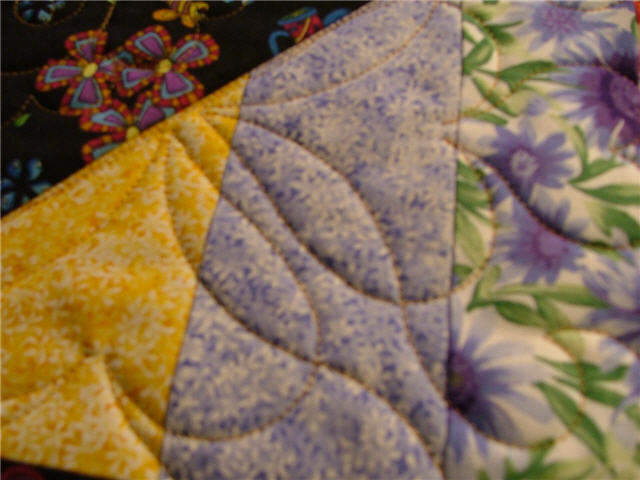 It's color number 421, and it's one of my favorites on just about any fabric! 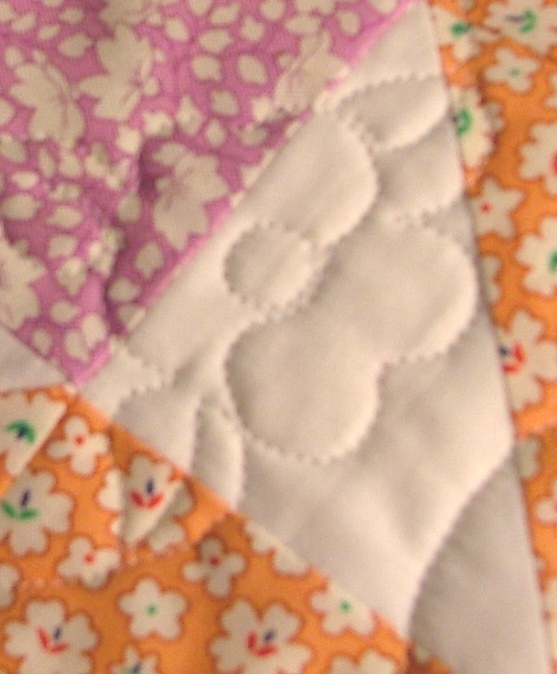 Using a zero margin for a seam allowance keeps everything as close to the edge as possible, without the need for stitching in the ditch except for all of the contrast areas. 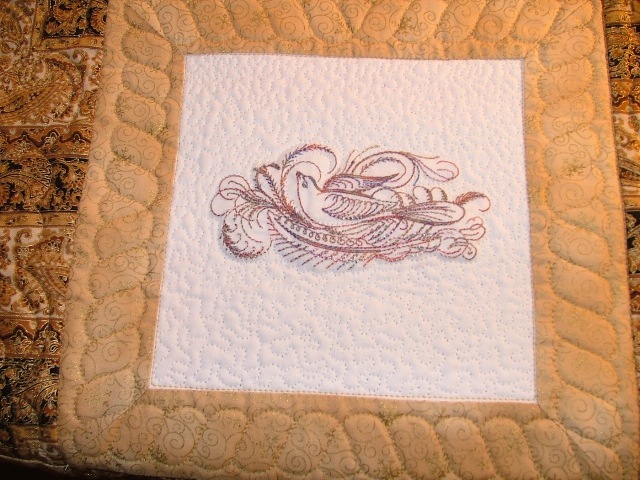 I had to keep a careful eye on this, to make sure the design didn't "leak" into the wrong areas, but I think the outcome is well worth the time spent. 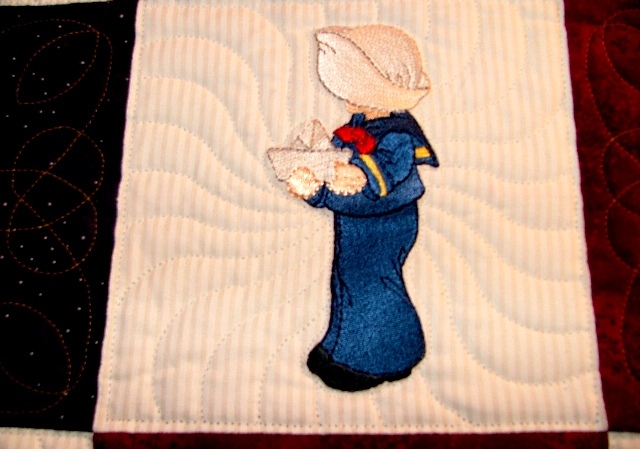 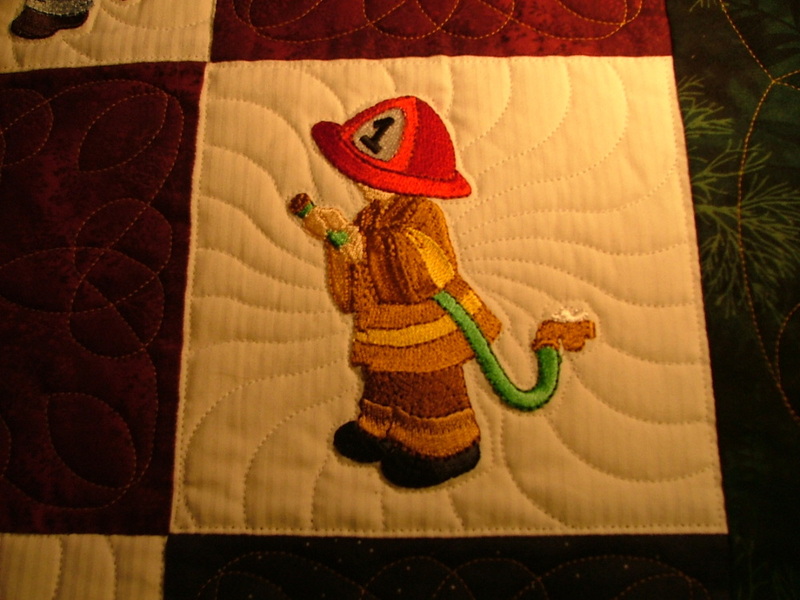 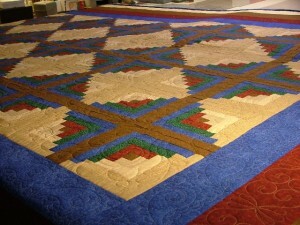 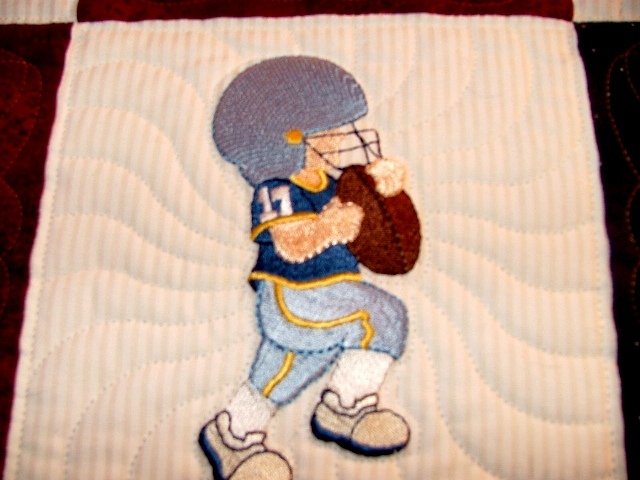 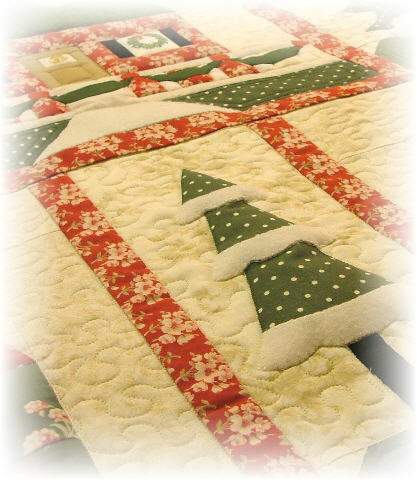 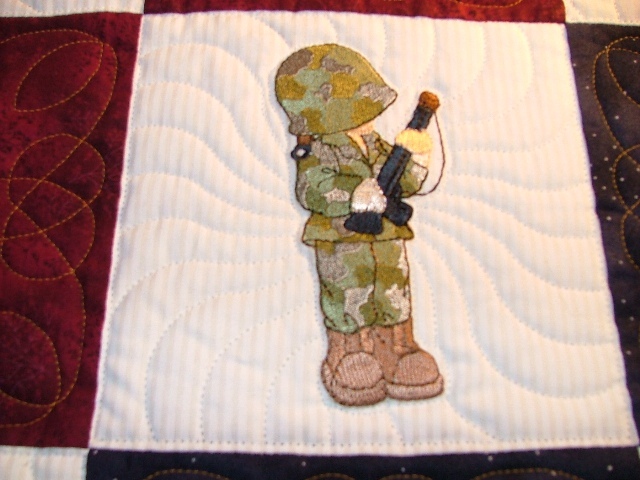 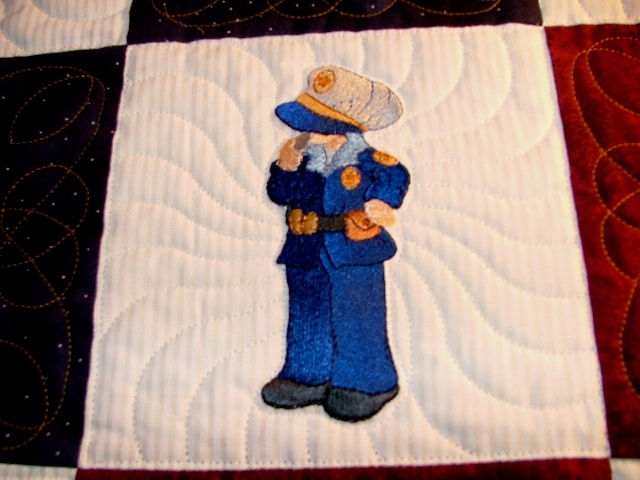 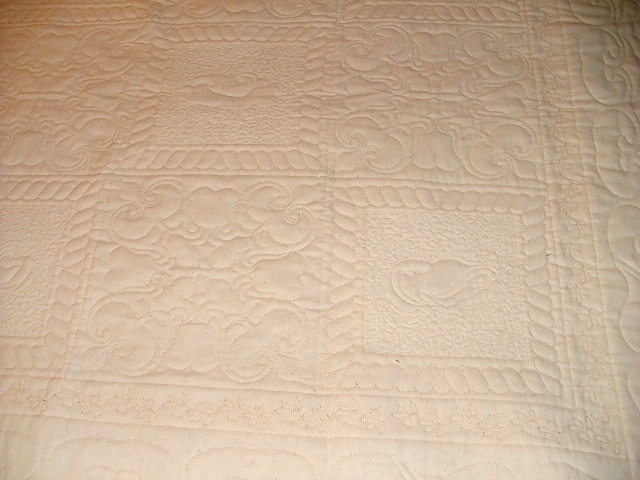 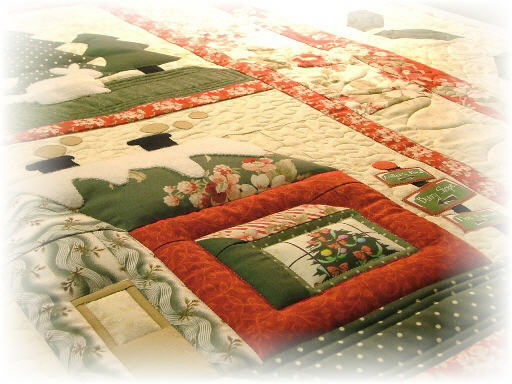 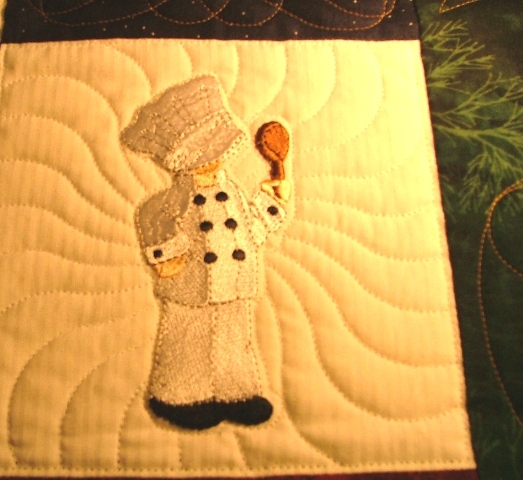 Enjoy the pictures of the front of the quilt below!